Check out this new net sanding pad from Diablo. Goodbye to standard paper! Nitty Gritty Sanding Pads! Check out these new SandNet pads by Diablo. I’m sure happy to see these types of sanding pads hit the U.S. market. I was first introduced to them when I visited Europe last year and got to use some in a friends shop. This is a net-type sanding pad for orbital sanders. The one’s we’re looking at today are the Diablo SandNet Discs and they’re just as good as the types I used across the pond earlier in the year. The advantages of a net sanding net pad is that it clears sawdust really well, it keeps the temperature of the material much lower than conventional sand paper and the dust collection (DC) can move air through it very easily. This package of pads comes with a coarse Velcro adapter pad which is really smart in my opinion. I have wrestled with other manufactures sanding pads that do not include the adapter pad and they simply do not stay coupled to the sander like they’re designed to. It’s frustrating. The Velcro adapter does have clearance holes for the DC as well. Aluminum oxide is used as the abrasive material and it seems to hold to the net really well. Diablo claims one of these SandNet pads last 10 times longer than conventional pads. I haven’t measured it out exactly in those terms but I can tell you this thing is lasting noticeably longer on this address posts I’m in the process of building. The material removal rate on these pads is really staggering. I see the conventional sanding pads getting clogged up all the time. What starts out as 80 grit abrasion turns into 220 fine grit real fast just because the paper simply can’t clear the debris. 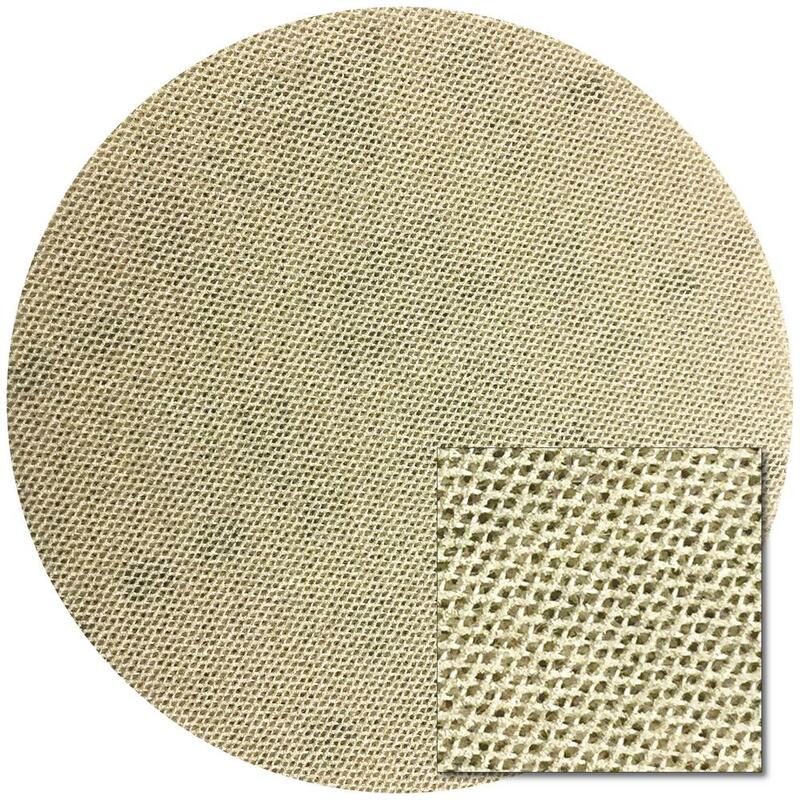 These porous net pads are able to remove much more volume of dust compared to standard pads and when it’s necessary, clearing them with an air hose is noticeably easier. Last thing worth sharing: Since this thing is basically a net, you don’t have to concern yourself with aligning the DC holes in the pad to the holes on the orbital sander. I know it’s a small detail, but it is kinda nice just being able to throw that sucker on and go. That’s all I have for you on this one folks! Thanks for stopping in to learn more. This review is sponsored by The Home Depot Prospective Campaign. If you’re interested in getting your hands on some of these cool sanding nets, consider using this link or one from above. Sales through these affiliate links provide a small kick back to me which helps this website continue on. Either way I appreciate you stopping by.